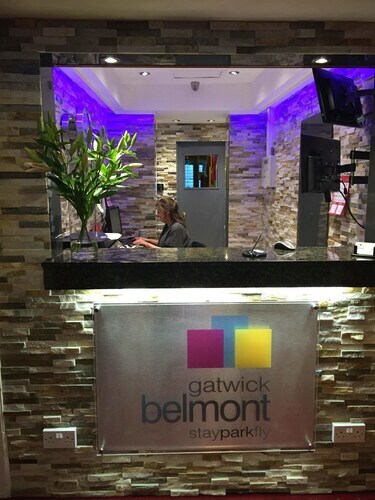 Situated in Gatwick, this hotel is 1.2 mi (1.9 km) from Manor Royal Business Park and within 6 mi (10 km) of Crawley Town Hall and County Mall Shopping Centre. Gatwick Aviation Museum and Hawth Theatre are also within 6 mi (10 km). Crawley Gatwick Airport Station is only a 5-minute walk and Gatwick Express Station is 6 minutes. 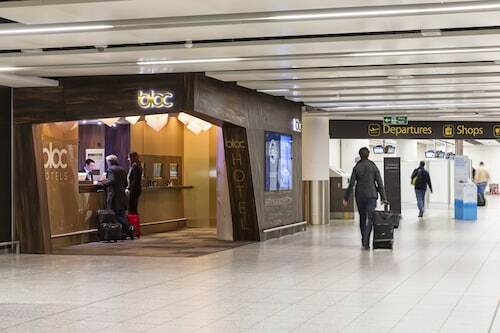 Hilton London Gatwick Airport is linked to Gatwick Airport's South Terminal via a covered walkway and to the North Terminal by way of free transit service. Central London and the South Coast are within 30 minutes by train. 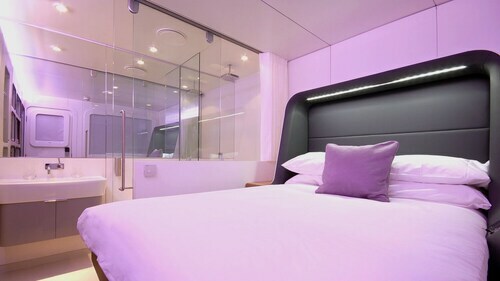 This contemporary, business-oriented hotel is connected to Gatwick Airport's North Terminal via covered walkway; central London is 45 km (28 miles) away, and can be reached in 30 minutes by train. Situated in Gatwick, this hotel is 2.7 mi (4.3 km) from Manor Royal Business Park and within 6 mi (10 km) of Gatwick Aviation Museum and Crawley Town Hall. County Mall Shopping Centre and Hawth Theatre are also within 6 mi (10 km). Gatwick Express Station is 17 minutes by foot and Crawley Gatwick Airport Station is 19 minutes. Situated near the airport in Gatwick, this hotel is in the same area as Crawley Town Hall, Worth St. Nicholas' Church, and Hawth Theatre. 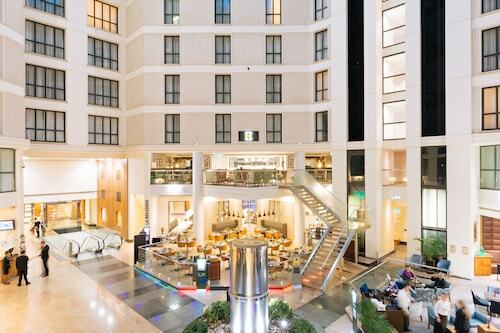 Situated in Gatwick, this hotel is 1.2 mi (2 km) from Manor Royal Business Park and within 6 mi (10 km) of Crawley Town Hall and County Mall Shopping Centre. Gatwick Aviation Museum and Hawth Theatre are also within 6 mi (10 km). Crawley Gatwick Airport Station is only a 5-minute walk and Gatwick Express Station is 6 minutes. 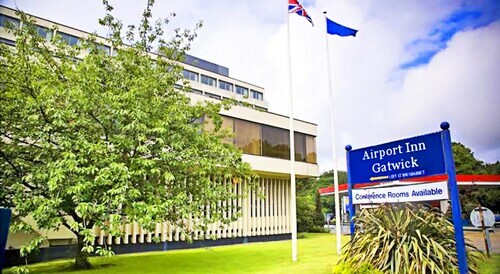 Situated near the airport, this hotel is 2.3 mi (3.7 km) from Gatwick Aviation Museum and within 6 mi (10 km) of Manor Royal Business Park and Crawley Town Hall. County Mall Shopping Centre and Hawth Theatre are also within 6 mi (10 km). Horley Station is 20 minutes by foot and Gatwick Express Station is 27 minutes. Located in the heart of Horley, this hotel is 2.7 mi (4.3 km) from Manor Royal Business Park and 2.8 mi (4.5 km) from Gatwick Aviation Museum. Crawley Town Hall and Effingham Park Golf Course are also within 6 mi (10 km). Horley Station is 9 minutes by foot and Gatwick Express Station is 23 minutes.